Do you feel self-conscious about minor skin blemishes on your face? Are you tired of having to rely on makeup to achieve the complexion you desire? 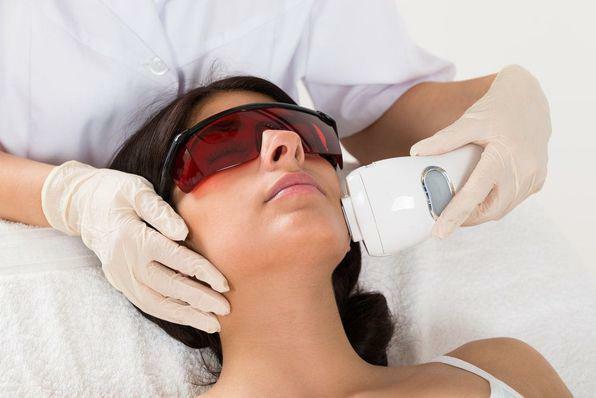 An advanced solution using laser technology can help you achieve a smoother, rejuvenated complexion that helps you to feel more attractive and confident. Dr. David Zweiback can dramatically improve the appearance of your skin using the Fraxel™ skin resurfacing laser at his Philadelphia, PA-area practice. The Fraxel™ laser is a safe, non-invasive treatment for acne scars, sunspots, fine lines, wrinkles, and more. This treatment stimulates collagen production, subsequently reducing skin blemishes and beautifully enhancing the complexion. During a visit to our office, Dr. Zweiback can assess the health of your skin and take note of your goals to determine if laser skin resurfacing can help you achieve the rejuvenation you desire. Laser skin resurfacing can help you look younger and feel more confident. Prior to treatment, you will meet with Dr. Zweiback. He will examine your skin to determine your candidacy and identify the specific areas you wish to address. Based on your goals for treatment, Dr. Zweiback can tell you how many treatment sessions you will require. For the best results, most patients require three to five treatment sessions with several weeks between each session. A topical numbing ointment will be applied to the treatment area and cold air will be used to keep the area cool while Dr. Zweiback applies the laser. You should feel minimal discomfort during the procedure. Following your treatment, you will likely feel a sunburn-like sensation, which should subside within a few hours. You may experience some redness and swelling for a few days after your treatment. Ice packs can be used to reduce swelling, and moisturizing cream can reduce redness. As you heal, you will notice changes in the surface of your skin. It will appear smoother and brighter with a more even tone. Over the next three to six months, you will continue to see significant improvements in your skin as the deeper layers benefit from newly produced collagen. Most patients experience long-lasting results with proper skin care. If you feel self-conscious about the appearance of your skin, and desire a non-surgical treatment option, FraxelTM skin resurfacing may be an excellent treatment option for you. Contact our office today to schedule your initial consultation with Dr. Zweiback.